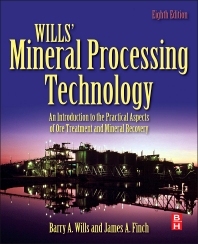 Wills' Mineral Processing Technology: An Introduction to the Practical Aspects of Ore Treatment and Mineral Recovery has been the definitive reference for the mineral processing industry for over thirty years. This industry standard reference provides practicing engineers and students of mineral processing, metallurgy, and mining with practical information on all the common techniques used in modern processing installations. Each chapter is dedicated to a major processing procedure—from underlying principles and technologies to the latest developments in strategies and equipment for processing increasingly complex refractory ores. The eighth edition of this classic reference enhances coverage of practical applications via the inclusion of new material focused on meeting the pressing demand for ever greater operational efficiency, while addressing the pivotal challenges of waste disposal and environmental remediation. 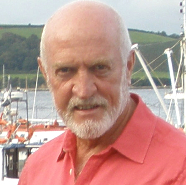 Advances in automated mineralogy and analysis and high-pressure grinding rolls are given dedicated coverage. The new edition also contains more detailed discussions of comminution efficiency, classification, modeling, flocculation, reagents, liquid-solid separations, and beneficiation of phosphate, and industrial materials. Finally, the addition of new examples and solved problems further facilitates the book’s pedagogical role in the classroom.